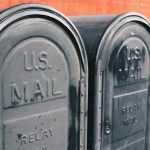 What is Digital Mailroom and Why PostScan Mail is The Answer? 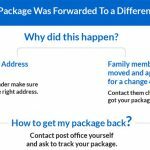 Whether you’re a home-based startup or a small business, getting business mail is inevitable. How you handle that mail, however, is what really matters. Many companies spare a room in their office for mail, when in reality they can’t afford to do so and the extra space can be better utilized as storage or more cubicles. So why waste space when you can just do it virtually? That’s where a digital mailroom comes in. 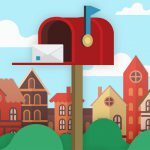 What is a virtual mailroom? A virtual or digital mailroom is transforming you physical mailroom into an automated, self-operating, digital mailroom. Your mail will electronically be scanned, distributed, forwarded, and archived. With this feature, all you need is to log into your mailroom through your computer or smartphone. 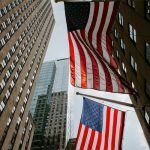 This is something you, your partners, and your employees can all use together. How it works is your mail arrives at mail facilities and then it is scanned and uploaded to your online mailbox. You get instant notifications with all new mail; all you need to do is access it and send out mail requests! So no need for paper mail, mail storage, or even mail operators anymore. 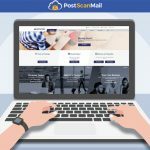 Why is PostScan Mail your answer? PostScan Mail is a virtual/digital mailroom provider that caters to your business needs as a startup, small or large business. 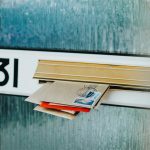 A digital mailroom has many advantages so let’s go through them and see why you need one. Usually, if you have a mailroom in your office, certain equipment like a scanner, printer, a stamp maker, and more are required. This equipment doesn’t just cost you but it also takes up a lot of space. With a digital mailroom, you won’t need any equipment! Professional mail professionals will be handling your mail from a safe, remote location. You just need to send out the mail request and the rest is done for you. Besides the money you’ll save on equipment, another big component that you’ll save on is paper storage! You may not notice the amount of money spent on paper but if you calculate that wasted on paper mail, between employees and customers, other businesses, or government paperwork, the numbers will add up. Not only will you get your postal mail through your phone wherever you are, but your employees also will too. You can cut down those pointless trips to the mailroom. PostScan Mail allows you to add unlimited recipients in your mailbox so that each recipient can log in separately and handle their mail. You’ll receive notifications with scanned images of your postal mail then you can open & scan the content, forward it, archive, or shred and recycle it. Your office employees aren’t the only ones that will benefit from this; it’ll also be great for freelancers or travelers. You can take your postal mail with you wherever you go, never falling behind on replying to an important mail piece. Giving businesses an extra special feature with their digital mailrooms, no junk mail! Your postal mail is automatically filtered so that everything goes where it belongs without you sorting through it yourself. You can get rid of junk mail and will be able to focus on important mail from customers or investors. Another benefit is having all your important postal mail stored digitally, online. As long as your account is active, you’d be able to access your mail whenever needed. Losing an important document or invoice can cause multiple problems in a business, with cloud-based storage, this will no longer happen. With digital mail, you’ll get mail delivered twice as fast! You no longer need to wait to be in the office or for your physical mail to arrive. Since you’ll be able to access your mail online, issues will be handled faster. 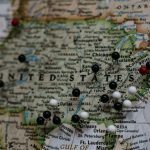 With your virtual mailroom, you’ll have a physical street address that accepts mail from all mail carriers, not just USPS. It’ll also have a unique mail forwarding services where you can forward mail to any address. This flexibility makes it easier for your customers and other businesses to reach you and quickens the response time. With better mail handling, it’ll reflect positively on your customer service and improve your business’s image. These were the main advantages of a digital mailroom; this is a step every business needs to take in order to grow effectively. Keeping up with the latest technology to enhance the workflow in your business is what will guarantee your startup has a spot in the future market.